Last summer, I went to Ecuador and spent some time out in the Oriente near Vulcan Reventador which was rumbling at the time. In December, Reventador spewed lava! (video below). Dr Roscoe and a German colleague captured the rumblings and fiery explosions earlier this month with wide-angle videos using moonlight alone by applying a unique filming technique at a specific rate, and sped up the video to show the activity over the course of a three-day period. 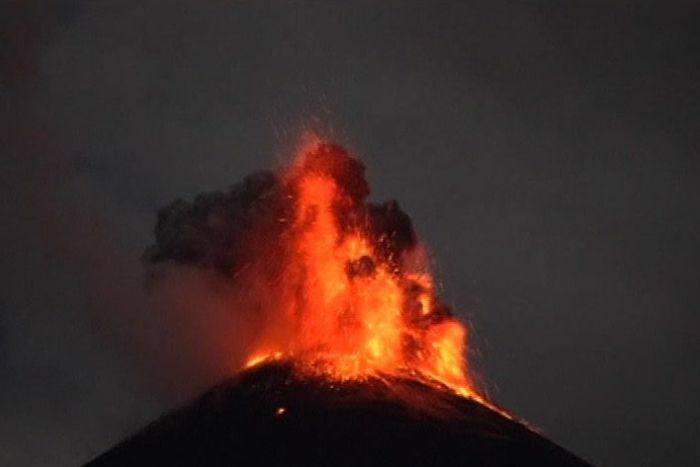 Reventador’s last recorded major activity was in 2002, when a huge eruption occurred with almost no warning and its pyroclastic flow of gas and matter wiped out a nearby valley and damaged pipelines, Dr Roscoe said. Reventador’s last recorded major activity was in 2002 when a huge eruption happened with almost no warning, and it’s pyroclastic flow of gas and matter wiped out a nearby valley and damaged pipelines, according to Roscoe. 1 Comment on "Reventador Erupts"
Amazing photography! We served in Manta so I never saw this, ever!